If you live in Latin America, or a semi-arid region of the United States, a wild superfood may be ripe for the picking in your own backyard. Known as prickly pear cactus (Opuntia spp), the leaves and fruit of this desert plant can be harvested and consumed to treat a variety of conditions -- including diabetes, obesity, cardiovascular disease and inflammation. Native to the mountainous areas of Mexico, prickly pear cactus has been used since ancient times as a potent medicine, as well as a daily food source. Many of the nutritional advantages of the plant are attributed to its growing habitat—namely, volcanic soil and high altitude. The Aztecs so valued prickly pear that it was considered food fit for warriors and royalty. Jump to the present day and you'll find health enthusiasts have also embraced the food for boosting stamina, improving health and slimming down. A common sight in Hispanic communities and Latin America, cactus as a food may seem exotic to those unfamiliar with its use. And yet, science is beginning to recognize prickly pear as a beneficial food and therapeutic medicinal for many of the health disorders plaguing us today. 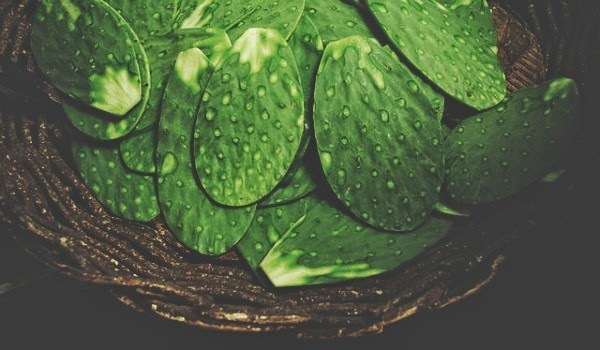 One of the more intriguing uses for the cactus paddle (known as nopales) is in the treatment of diabetes. As a low-glycemic, high-fiber food, nopales lowers blood sugar levels, helping to keep obesity and diabetes at bay. Moreover, research published in Chemistry Central Journal found that consuming either tortillas or bars made with nopales increased vitamin C plasma levels, and reduced both cholesterol as well as triglycerides—which is good news for those concerned about cardiovascular disease.